The Phoenix Art Museum teams up with Arizona game organizations for the Art of Video Games Exhibition. Housed in the same buildings as works of art from classical painters from generations of art movements are now video games. One year ago, the Smithsonian American Art Museum in Washington, D.C., held a six-month exhibition called "The Art of Video Games," and now it's moved to Phoenix, Arizona. 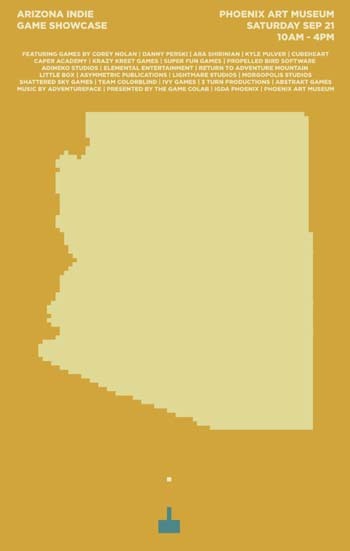 This Saturday, Sept. 21 from 10 am to 4 pm, Phoenix IGDA and Game CoLab, an organization for the Arizona game community, will host a group of independent game developers to showcase their work at the museum. Participants will be able to see the 20 different independent games, play them, and meet the developers. Of the 20 titles, three come from the PAX Prime 2013 Indie Megabooth: Gravity Ghost by Ivy Games, Scale by CubeHeart Games, and Aztez by Team Colorblind. 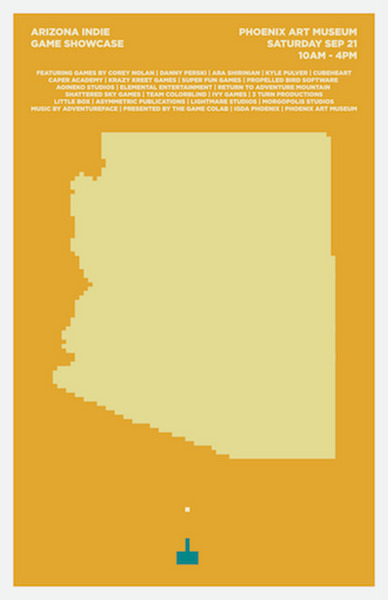 The event strongly features local developers from Arizona in the exhibit. The Art of Video Games Exhibition explores how videogames have evolved in 40 years with technology. The exhibit closely examines games a visual medium and features 80 games from the Atari VCS to the PlayStation 3. The exhibit began in June at the Phoenix Art Museum and has included lectures, workshops, challenges, and films as special programming. Before The Art of Video Games began in D.C., exhibit curator Chris Melissinos chose each of the 80 featured games with suggestions from the public. Each of the twenty systems highlight four games with still images, videos, and interviews from the developers.